Residential Roofing | Roofing Services | Homestead Roofing Co. CALL NOW FOR YOUR FREE ROOFING ESTIMATE! For over 85 years, one of the most trusted names in residential roofing has been Homestead Roofing. Our residential roofing services range from maintenance and minor repairs to full roof replacements and brand-new roof installations. No matter how big or small your roofing needs are, you can count on the experts here at Homestead Roofing of Ridgewood, NJ when it comes to the roof over your head. Get a roof that is made from the highest quality materials and backed by a strong warranty program! Most homeowners figure they have a roofing problem when they spot a leak in the ceiling. However, there are different ways to spot roof damage that doesn’t require you to sit around and wait for ceiling water damage to develop. If you recognize any of these following signs, contact Homestead Roofing for immediate roof repair or replacement. When a roof is nearing the end of its life, the decision to repair or replace can be a difficult one. The roofers here at Homestead Roofing bring years of experience and promise to give you an honest estimate of your roof’s condition. At the end of the time, however, the decision to repair or replace your roof is up to you. You might want to keep these factors in mind when deciding between roof repairs and replacement. The first and most important thing to consider is the age of your roof If your roof is near the end of its life, it will need to be replaced in the very near future, which means any roof repairs are just additional costs to the inevitable replacement. A roofing contractor will perform a thorough assessment of your roof to determine its condition relative to its age. Sometimes the repair costs are so minimal that it makes sense to put off buying a replacement while you still can. However, there comes a point where repairs become so expensive that it actually makes more sense to invest a bit extra and buy a new roof instead. This will require you to factor in the cost of repairs and the roof’s life expectancy to determine what makes more sense financially. The decision to replace requires a further choice: install the new roof over the existing one or tear the old one off and start fresh. The choice comes down to saving money now and risking greater expenses down the road or spending more now and minimizing future expenses. The decision also depends on the type of roofing system you currently have and the condition of your roof. For all your residential roofing needs, contact Homestead Roofing. 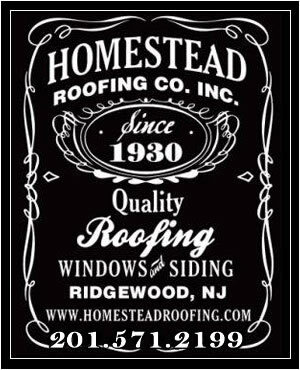 We have served the Ridgewood area since 1930, and we continue to be one of the premier roofing companies in New Jersey. Call us at (201) 571-2199 to learn more about our residential roofing services, including roof repair, roof maintenance, and roof installation. Each type of roofing material has a different lifespan. Below is the average lifespan for the most popular types of residential roofs. Types of Residential Roofing – What are the Differences? 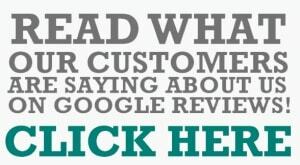 Call today to get your free written estimate! We offer 24/7 emergency roofing services so we are available night and day for your roofing emergencies.